For those who find the bustle of Amsterdam just a little too much, a trip to the smaller city of Leiden, the ‘city of discoveries’, may prove just as fulfilling. Its most famous inhabitant was master painter Rembrandt, who was born here in 1606 and later set up his studio in 1625. Situated 45km to the south of Amsterdam and 20km north of The Hague, the city of Leiden can trace its existence back to Roman times. The cobbled streets are set around a series of canals, with windmills and the unique cantilevered bridges dotted around, and the River Rhine passes right through the middle. There are also plenty of large open spaces on its outskirts – Van der Wef Park being the best of these. Use the park and ride facility to get to the city centre, then hire a bike and cycle around. This is a great way to see the red-brick former merchants’ houses; a legacy of the wealth created from the weaving industry, which reached its height in the 15th century. You will find some of the most impressive properties along the wider Rapenburg Canal. 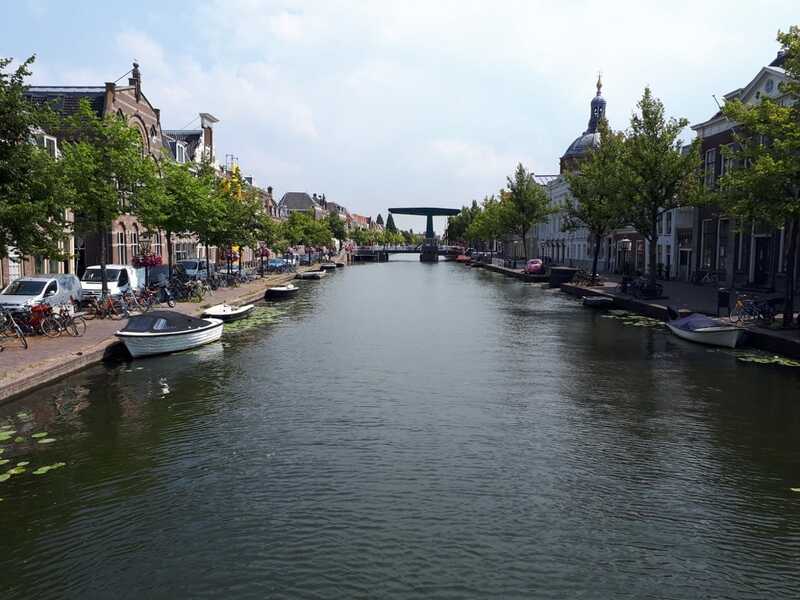 Leiden is also home to the oldest and largest university in the Netherlands, formed in 1575 by William I of Orange, and twinned with Oxford, England’s oldest University City. Several former Nobel Prize winners feature amongst the alumni, including Albert Einstein, who studied here for a time. The National Botanical Gardens also form part of the university and this is the place where the tulip was introduced to Western Europe in 1560. Burch van Leiden – An original 11th century fort and keep situated where the two tributaries of the River Rhine (oude and niewe) meet. It is the oldest surviving example in the Netherlands. De Valk Windmill Museum – The third incarnation to stand on this site since 1611. After extensive renovation in 2000, it is fully functioning and once again mills grain into flour. Leiden Observatory – Established in 1633, this is the oldest university observatory still in existence today. 3 Oktober Festival – This celebrates the end of the siege led by the Spanish during the 80 Years War in 1575 (the year the university was founded). A large parade winds its way around the city the evening before, with memorial services, a market, a funfair and evening fireworks taking place on the actual day. Leiden International Film Festival – Since 2006 the city has hosted this 10 day festival at the start of November. It showcases the diversity of both art house and mainstream cinema.